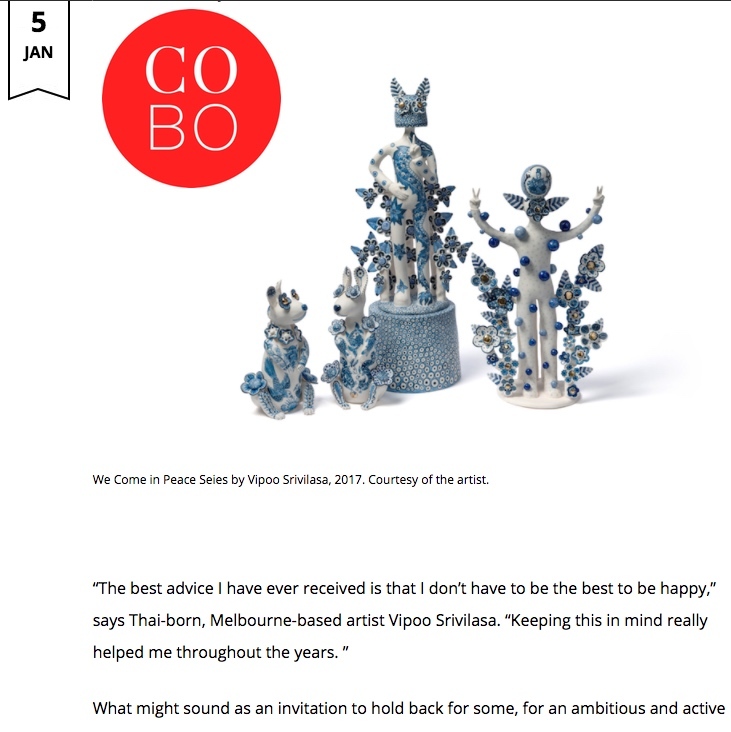 Vipoo Srivilasa interview on CoBo Social with Naima Morelli. Naima is an art writer and curator with a focus on contemporary art from the Asia Pacific region. She has written for ArtsHub, Art Monthly Australia, Art to Part of Culture and Escape Magazine, among others, and she is the author of “Arte Contemporanea in Indonesia, un’introduzione” a book focused on the development of contemporary art in Indonesia. As a curator, her practice revolves around creating meaningful connections between Asia, Europe and Australia. CoBo Social serves as the first international with Asia focus community platform for collectors to collect, connect and collide across various categories.